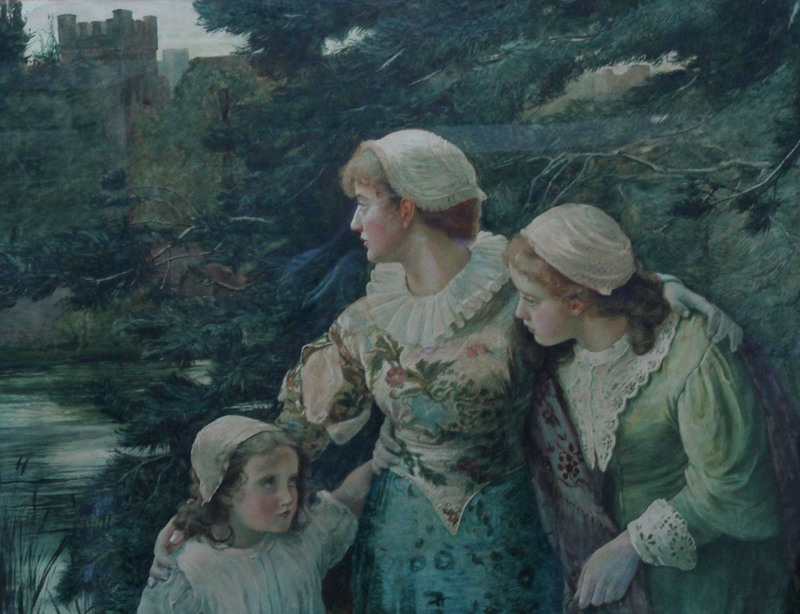 This stunning exhibited Pre-Raphaelite 19th century watercolour painting is by British Victorian female artist Marcella M Walker. 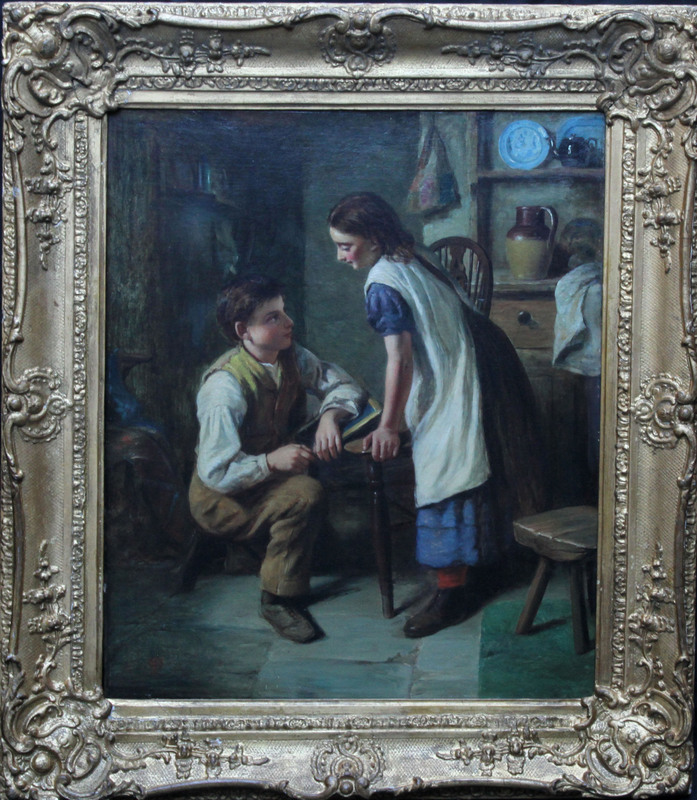 The painting was painted in 1880 and exhibited at the Royal Academy London, exhibit 697 that same year. The painting illustrates the penultimate verse from a long poem by 18th century poet William Julius Mickle (1734-1788) entitled Cumnor Hall. ‘The village maids with fearful glance avoid the ancient moss-grown wall, nor ever lead the merry dance among the groves of Cumnor Hall'. The colouring and detail of the maids dresses are gorgeous. The three pretty maids are depicted against trees looking back across a lake to Cumnor Hall. Signed and dated 1880 lower right. Sotheby’s, Belgravia, January 29 1980, lot 192. Housed in a gilt frame, 40 inches by 29 inches and in good condition.